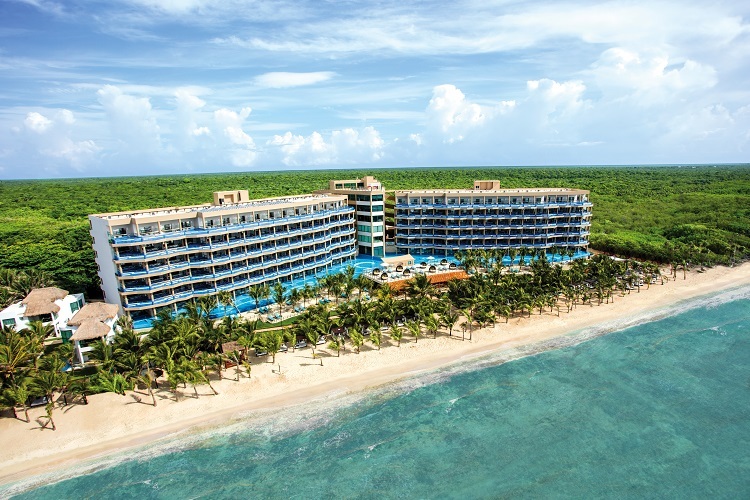 Indulge in a secluded paradise at El Dorado Seaside Suites. This adults-only resort is located on Kantenah Bay where you’ll enjoy ample privacy and relaxation. The Tulum Mayan ruins are a quick drive away and you can reach Playa del Carmen in just 30 minutes to explore the local clubs and nightlife. Accommodations were designed with luxury in mind. Every suite features a lavish hot tub, mini bar, living area, smart TV, and more for your comfort and convenience. Palm trees and those sparkling blue waters are always within sight from your private balcony. Classical touches range from tiled floors to majestic pillars and hues of white and tan for a warm Caribbean vibe. 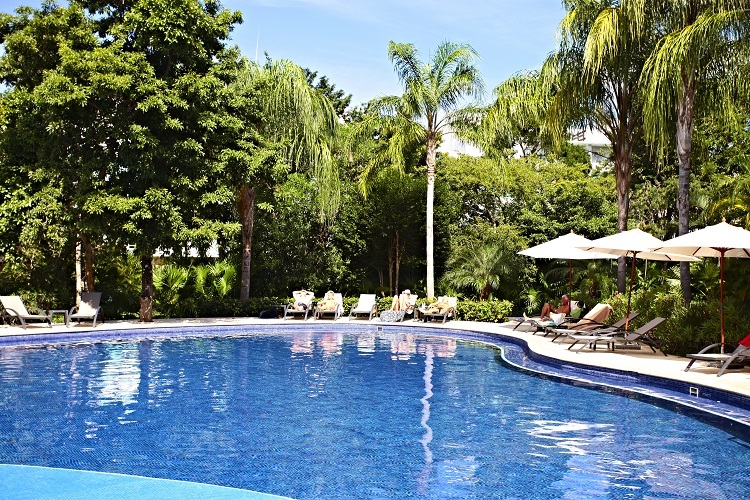 You can even enjoy direct access to the pool or lazy river in select room categories. 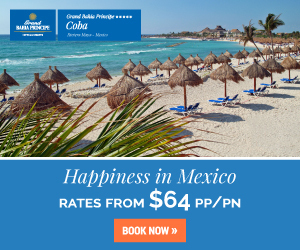 Your all inclusive package includes a number of exciting opportunities. Take advantage of scuba diving courses and water aerobics with professional instructors. Relax in one of three pools, venture out on a kayak, or simply relax in the lazy river. Yoga is offered on the beach while the tennis court and fitness center will have your heart pumping in no time. Experience pure bliss at Naay Spa where you can choose from a number of tantalizing treatments to soothe your mind and body. Succumb to a massage utilizing modern or ancient Mayan techniques. Chocolate body scrubs and aromatherapy are available as well, and you can also pamper yourself at the full-service beauty salon next door. Choose from a multitude of restaurants with a wide array of styles and signature dishes. 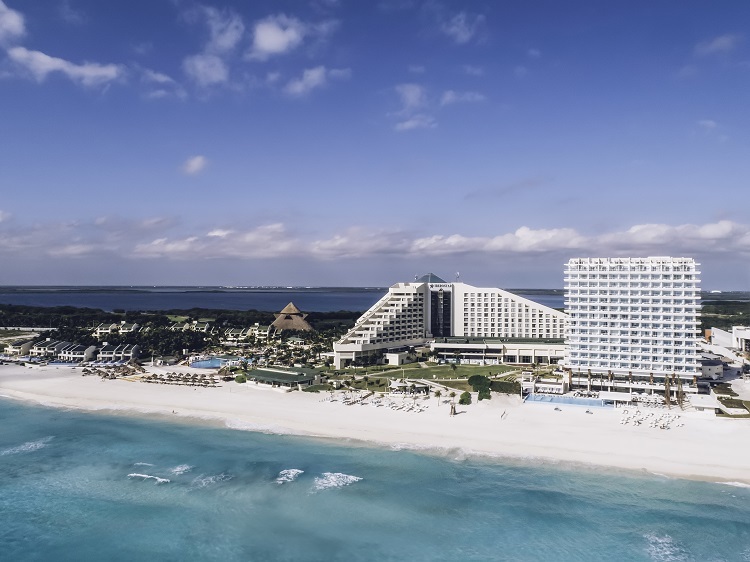 Arrecifes serves up international cuisine while the Beach Barbeque invites you to enjoy meals with a view. Try Latin flavors at Culinarium or visit La Carreta for your favorite Mexican dishes. Nearby pizzerias and burger shakes are also available. Mia Casa brings the best of Italy to Riviera Maya with classical Italian architecture and home-style cuisine. For drinks in an idyllic setting, head to Guacamayas where you can taste local Tequila and other inspired drinks in a beachside hut. Relax in the rustic Mezcalito which features the locally renowned drink Mescal in all its glory. Plus, you can enjoy a number of swim-up bars whenever you’re out by the pool and need a refreshing drink to cool off. If you dream of a beachfront wedding in Mexico, let El Dorado Seaside Suites host your special day. 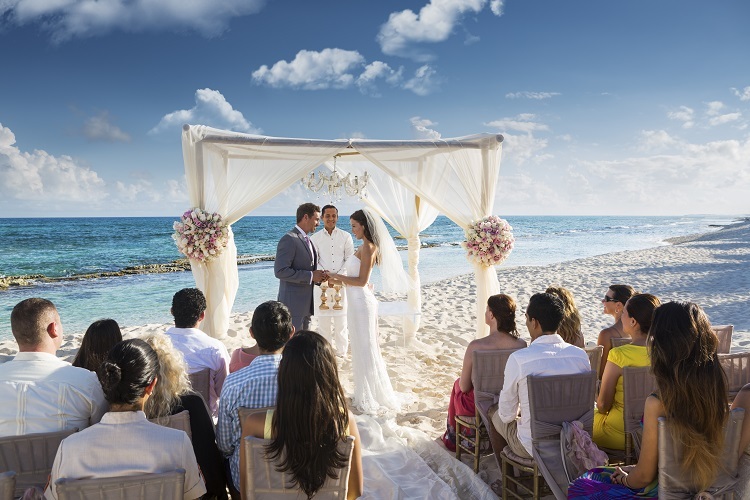 Say your vows in a chapel or against the stunning backdrop of paradise. Wedding specialists are available to make sure every detail and vision you have is executed, meaning you don’t need to worry about a thing. Couples can choose a wedding package that best fits their style, needs, and budget. 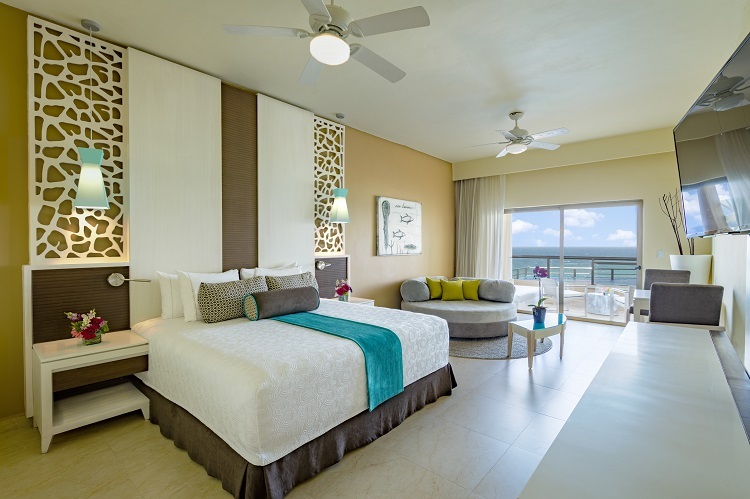 El Dorado Seaside Suites keeps the romance alive with honeymoon and anniversary packages. You and your loved one will enjoy a chilled bottle of champagne upon arrival, discount on spa services, specialty turn down service, and more to complete your experience. 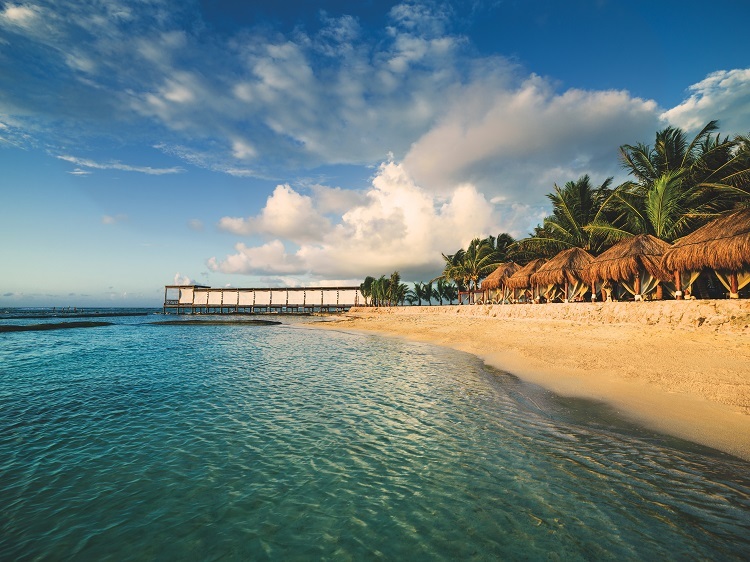 El Dorado Seaside Suites remains one of the Caribbean’s most luxurious and welcoming adults-only resorts. Its private location is perfect for romantic trips and destination weddings, and its immense offerings ensure that all tastes are satisfied. 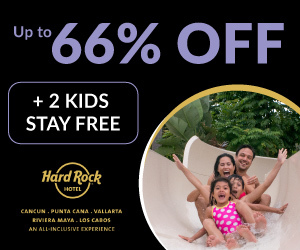 For the best of Mexico, head to All Inclusive Outlet today and find the best discounted vacation packages to Riviera Maya so you can book your dream getaway in paradise! Does this resort have sushi?? Great pics! Hi! 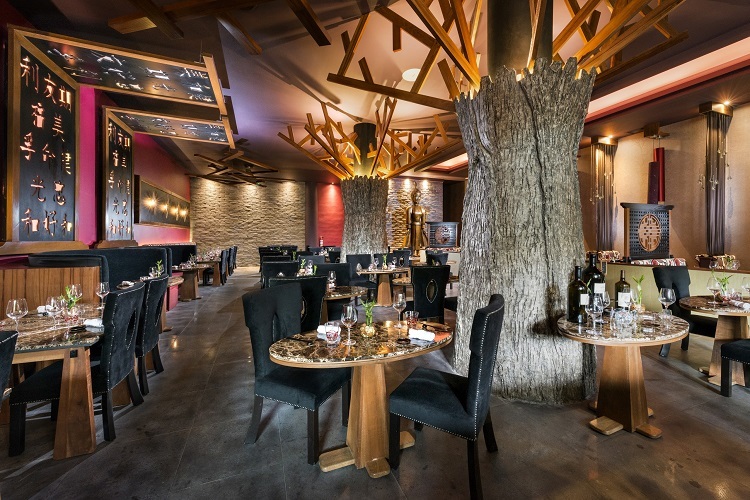 El Dorado Seaside Suites features Klay Talay, an Asian fusion restaurant!